As you may see, I do continue with Lith experiments. 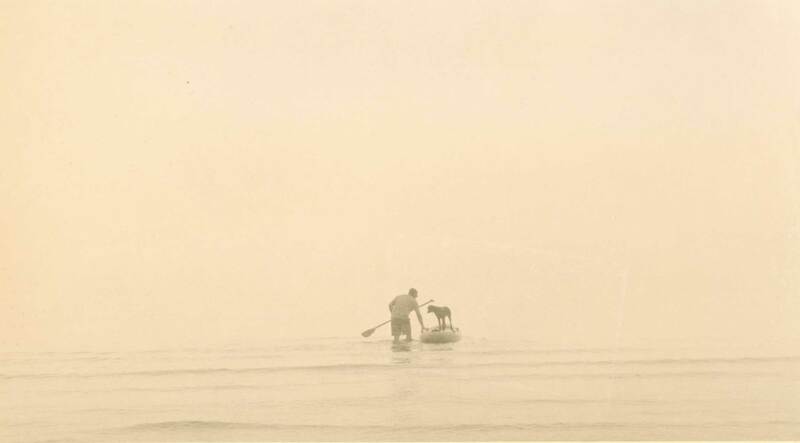 This is a Lith print of an image I took last winter during a misty morning by the sea. I thought it was very poetical and feel that the Lith process adds to it a je ne sais quoi that renders it even more beautiful. Hope you like it. Happy Sunday! Developer: Arista EasyLith, dilution 1:20. Did overexpose it by 3 stops by doubling the original development time and opening the lens at the enlarger by 1 stop.